PIZZA FRIDAY! !— Photo by Kosta H.
Are you really that hungry? 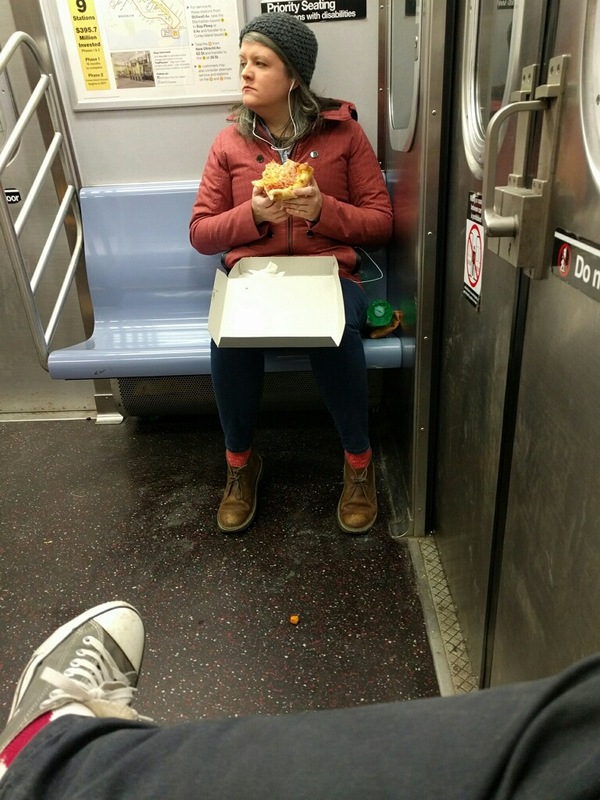 😀 Thanks for NOT eating on the subway. — Photo by Nick D.